“MI ESPERANZA” (my hope) is an inter-church project and a wonderful opportunity to reach out to Spanish homes through television. Billy Graham’s evangelistic preaching will be simultaneously translated. Churches are now preparing homes to be able to invite friends for this nationwide event. A Spanish woman married to a Latino with the rest of the family accepted the Lord during our home visit as one of the ART Company team members prepared a little fiesta in her place to invite her friends. Our visitation team was invited to minister to a family one Sunday and the whole family & friends accepted the Lord, as a result the mother offered to hold Bible studies in her place regularly. In España 377 cities y pueblos of more than 5.000 residents are w/o evangélical testimonies. Almost 10 millones of Españoles live in these places w/o any ‘Iglesia Evangélica’. Thank you for remembering Spain in your prayers! 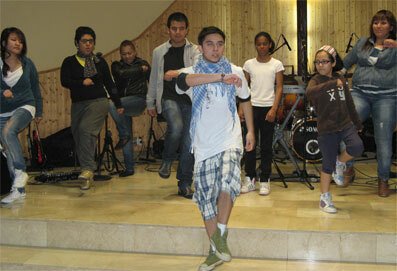 EVANGELISM, DISCIPLESHIP AND MORE … In Fuenlabrada, Madrid - Dani with the ART Company dance group ministered during the inter-church once a month youth encounter here in Madrid. The techno-music they used had been a challenge that the speaker commented on how he was so impressed with the effort the group placed to win this generation through the culture they know. An opportunity to announce our evangelistic campaigns in July til August in different parts of Spain. 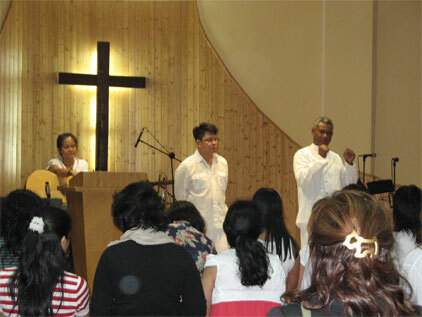 It is encouraging to see youths excited and passionate to use their talents for the Lord. Please let us remember them in our prayers, that the Lord may provide the finances they needed. With Christ, we trust that the crisis will not be a hindrance, Amen! ART Company’s campaign in Pontevedra , Galicia will be July 1-3 / in Mahon, Menorca & Arta, Mallorca will be August 11-31. 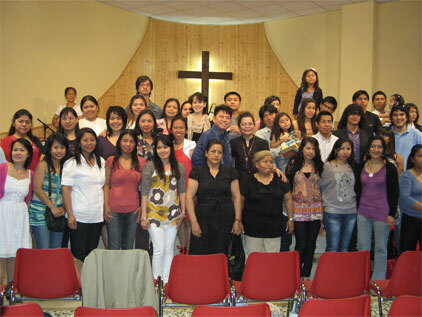 10 SOULS BAPTIZED … In Madrid we joint effort to hold a baptism service. The pastors - Rey of the Tesoro church & Pedro of the Usera church had a wonderful ministry time of celebration & fellowship. 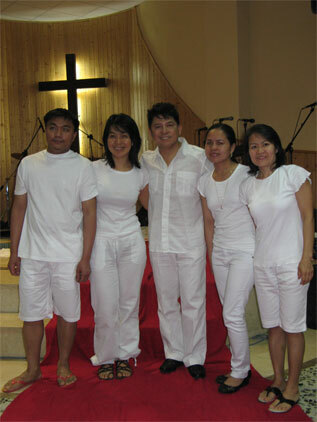 Despite of the persecutions and difficulties these brothers and sisters in the Lord went through to be able to finally identify with Jesus’ death and resurrection through baptism they were able to stand firm in testifying that now Jesus is truly the Lord of their lives! Glory be to God! In all we do, love is essential w/o expecting anything in return. We are not to loose tract of the totality of human needs and see them according to God’s perspective, in this way we could help meet their needs completely! THANK YOU SO MUCH FOR THE LOVE, SUPPORT & PRAYERS YOU EXTEND TO US. God’s faithfulness and His powerful intervention would help us all to finish the race with flying colors! Faithful servants of the Lord, let’s keep running the race with all of our heart, soul & mind! JUNE 2011 NEWSUPDATE FROM MADRID~ART COMPANY/FIRE VISION MIN.